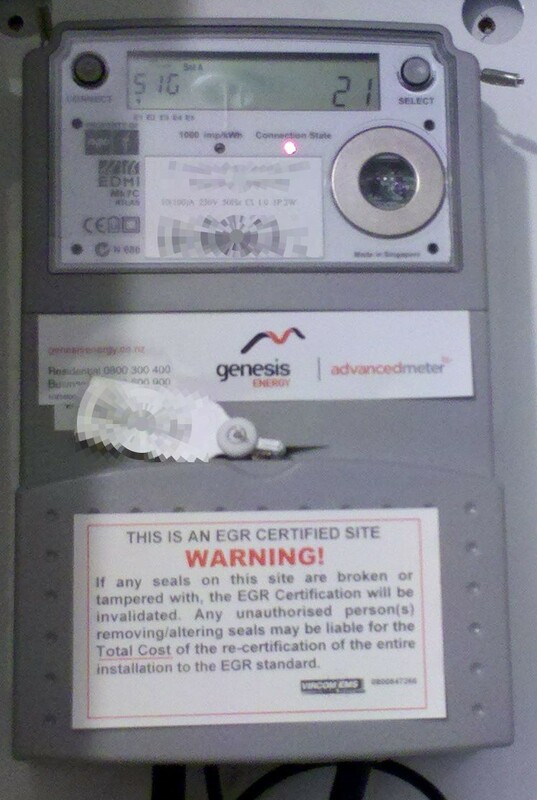 More on What Your Electric Company Doesn’t Want You to Know – Smart Meters EXPOSED!! Here’s a very down to earth and comprehensive discussion from a mother about Smart Meters and what they mean for the average consumer. To protect her children she has thoroughly researched the facts. From the US of A it still applies to us here in good old ‘clean green’ (not) NZ. Here is yet another pollutant to our once clean environment that makes big bucks for the Powerco but, contrary to the spin, offers little value and plenty of hidden harm to the consumer. For further info on Smart Meters (more commonly known here as Advanced Meters) go to our Smart Meters Page on the site. There are indeed many health risks being reported here ((listen to Dr David Carpenter on those plus see the stopsmartmeters NZ site), ridiculously inflated power bills ($1K I’ve heard, read here about a Nelson woman’s experience) and fire risks. Most importantly watch an excellent expose on the whole issue – Josh del Sol’s ‘Take Back Your Power’. Very informative if you really want the facts. See what the corporations are hiding from you with their clever spin and outright lying. Josh exposes it all. Note: the meters are not as yet compulsory. Check the fine print of your supplier. Vote with your wallet. (from wholenewmom.com) We’ve had to go against the norm many times in our quest for better health. I’ve gone sugar free,gluten free, stopped eating foods my breastfeeding son was allergic to, and have tried all kinds of natural treatments in order to avoid antibiotics and other meds when dealing with conditions such as sinus issues and ear infections. Now I’m not getting a smart meter. Microwaves Are Quickly Killing Us – Expert Barrie Trower. An 2012 interview with Dr. Dietrich Klinghardt about evidence of damage to human health from “smart” meters. This interview is from the making of the revelatory documentary Take Back Your Power (2013). Utility companies are racing to replace electricity, gas and water meters worldwide with new generation “smart” meters at an unprecedented rate. With compelling insight from insiders, researchers, government representatives, lawyers, doctors and environmentalists, Take Back Your Power investigates claimed benefits and apparent risks of this ubiquitous “smart” grid program. Transparency advocate Josh del Sol takes us on a journey of revelation and discovery, as we question corporate practices of surveillance, extortion and causing harm in the name of “green”. This is from stopsmartmeters.org.nz A recent post here concerning the billing increases for our elderly people raised the question, ‘are Smart Meters a factor in this equation?’ It’s reported the elderly are staying in bed long hours to keep warm & to avoid turning on heaters. In a country that has fast retreated from its welfare state status, this is heinous … to some at least. But not to those in power who are blatantly ignoring the plight of youngsters who attend school without lunch and families living in garages and tents because there is an affordable housing shortage … while at the same time selling off the housing stock and borrowing millions a week to keep us afloat. At the same time the power companies are doing very well thank you very much. Contact Energy in the year to June 30 2015, produced a 17.6 per cent increase in net profit of $234 million. Any suspicions I’ve had about the Smart Meter contribution to billing hikes is confirmed by this Electrical Engineer. If you’re still in doubt please watch the award-winning documentary, Take Back Your Power. Whilst ignorance prevails on the dangers of Smart Meters (aka Advanced Meters) to our health, read what Public Health Physician David Carpenter has to say about them. An expert on magnetic fields, he has a wealth of knowledge and experience that qualifies him to make a sound judgement on safety issues and Smart Meters. These meters are not compulsory although the public here in NZ (and elsewhere) are being given the impression that they are. Please educate yourself before consenting to the installation of one of these devices on or in your home. Visit the Smart Meter page here for links to other informative websites, and for Kiwis in particular … NZ’s stopsmartmeters website. In particular, watch the award winning documentary by Josh del Sol, ‘Take Back Your Power’. For Rangitikei folks, I have a copy you can borrow. Trailers are also on the Smart Meter page. David Carpenter: “I’m David Carpenter, I’m a Public Health Physician, I graduated from Harvard Medical School, and I worked for the New York State Dept of Health for 18 years, during that period of time I was responsible for administering a program in electromagnetic fields, I subsequently became the Dean of the School of Public Health and presently I’m a faculty member in the School of Public Health and the Director of the Institute of Health in the Environment of the University of Albany. Interviewer: Thank you and Central Main Power says there is no reason to be concerned about smart meters, there are no health effects and everyone who is worried about the health effects of RF from smart meters or from the mesh network really have nothing to be concerned about and what do you say to that? Citing an original newspaper article from the 1990s, here we see the cover up that goes on with health risks. The corporations do not want you to know of these for fear of influencing your buying decisions. The risk to health from EMF radiation is inherent in cell phone use, cell towers, smart meters and wifi. Educate yourself and protect yourself … research this subject for yourself because, as always, and as demonstrated here, you will not read about it in mainstream media. A good start is Lloyd Burrell’s electricsense website. And/or visit the EMF page on this site. Check out our Wifi, Smart Meter and related pages for further info. Smart or Advanced Meters as Kiwis know them, are being rolled out in NZ currently. Some are aware of the risks they pose to our health (heart problems, headaches, sinus problems & cancer) not to mention the escalated power bills that people are experiencing. I hear often of cases of severely inflated power bills since the installation of a Smart/Advanced Meter … and any proposal that it’s the meter is generally dismissed by the Powercos. Some of these are as extreme as double to triple the normal cost. In my discussions with folk on these meters I find they think because there’s no tangible effect for them like physical symptoms it’s all safe. (For some though there are physical symptoms … this is covered on our Smart Meter page. It’s of note that many report disappearance of the symptoms after the Smart Meter removal). But even with no symptoms the radiation from electromagnetic devices is a slow-kill. Like food additives that are carcinogenic, so also the effects of radiation from these meters has a slow and cumulative long term effect. The Take Back Your Power documentary by Josh Del Sol illustrates the effects of radiation with a very disturbing story about a young man who died of brain cancer … he had been living in a hostel room near a cell phone mast at his university. So also had many other previous occupants his mother later found out. She is filmed there turning page after literal page reading out the names of others who had also died of cancer! Is it really worth the risk to just ignore this information & discard it as mumbo jumbo? The following video ‘The Truth About Smart Meters’ by Brian Thiesen will enlighten you further about the risks posed by Smart/Advanced Meters. Brian Thiesen is Chairman of Interior Smart Meter Awareness. Considered to be an expert on the subject of Smart Meters Brian has been raising awareness about the dangers of smart meters, in British Columbia and globally. He has talked with some of the top Doctors, military weapons experts, electricians, engineers. Read more about Brian at this link. Fire risk is one of the less well known problems with Smart Meters aka, in NZ, Advanced Meters. The oft quoted justifications with them are ‘accuracy’ and ‘safety’, however the first is debunked immediately with many reports of highly inflated power bills, both abroad and here in NZ (and I mean highly inflated, I’ve heard of bills over $1k!). Safety however has been not so well proven to date or, any risks have been carefully concealed. This was evident in the doco Take Back Your Power. Here we have the fire risk in greater detail. These meters generate revenue for power companies by collecting data, a huge industry. People report difficulties with the operation of appliances and the levels of pulsing and subsequent emission of RF radiation is up to 190,000 times per day creating a huge health risk. This is borne out by experts in the field of radiation risks. Additionally the meters come with a remote disconnect ability which, when put to use, cause arcing and subsequent fire risk. There is more, please watch the video and be informed. If you have one of these meters already in close proximity to where you work, sleep or simply spend your day, consider having it removed. For help with that visit Stop Smart Meters NZ Kiwis. There are similar sites world wide for further information. Research the health and other risks and make an informed decision about them. If you don’t already have one, it is easier to prevent installation than it is to get one removed. Researcher Brian Thiesen presents shocking and disturbing facts about smart meter fires — which your utility does not want you to know about. Smart Meter radiation has 35 kilometer range! Third video features NZ’s Katherine Smith from Stop Smart Meters NZ. This video will take you back to the ground-breaking research that decades ago, first exposed the risks posed by EMFs. Information you were not supposed to be privy to. “We are surrounded by these growing number of frequencies around us, causing illness and death to humans, birds & bees. Do educate yourself on this issue. In particular read and listen to Barrie Trower, a British Physicist who was a microwave weapons expert and worked for the Royal Navy and the British Secret Service. He speaks from his wealth of experience and expertise. He knows what he is talking about and has no vested financial interests in telling you untruths. The corporations however that sell you the said gadgets and appliances do unfortunately, and have no qualms about doing so. Cancers are a growing concern (stats are at one in three and less now) … you owe it to yourself and your loved ones to do the necessary research and make some informed decisions about protecting yourselves. Corporations will not tell you this at risk of alarming you and negatively influencing your buying decisions. There are ways to protect yourself however, that do not involve throwing the gadgets out. Remember also, we now have to contend with the radiation emitted by smart or advanced meters as they are commonly known here in NZ. Smart meters are currently being rolled out and carry proven health risks. Power companies deny their health effects. Go to our Smart Meter page to learn more. A Medical Doctor expresses concerns about electromagnetic fields in our homes, schools and neighborhoods.